Many of you have Twittered and Facebooked me about my Holiday Notebook. 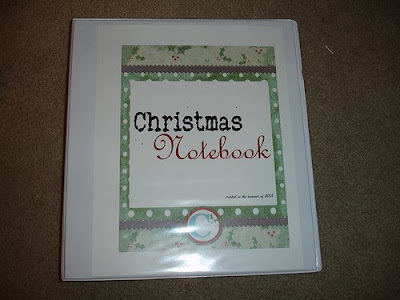 It’s basically the tool that I use to plan a fabulous holiday season. It’s stuffed with checklists, calendars, ideas, recipes and my holiday card list and some info pertaining to Hannukah since I celebrate Christmas and Hanukkah in my household. I find my Holiday Notebook to be an invaluable tool that makes my holiday life more less stressful. Here is how I made mine. Read more!